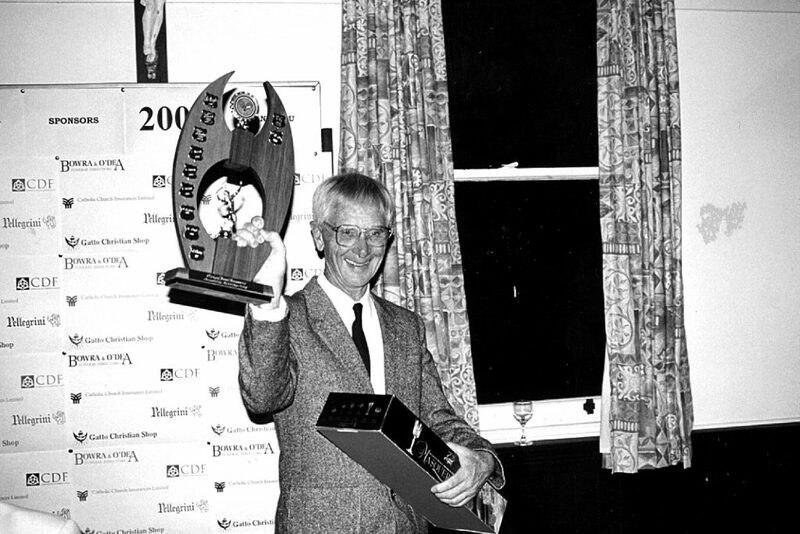 A remarkable educator with a passion for teaching, the humanities and sport, Fr St John is remembered for his willingness to help others reach their goals – his many students in particular – and for the dignified way in which he confronted life’s challenges, including the illness which limited him in the final years of his life. 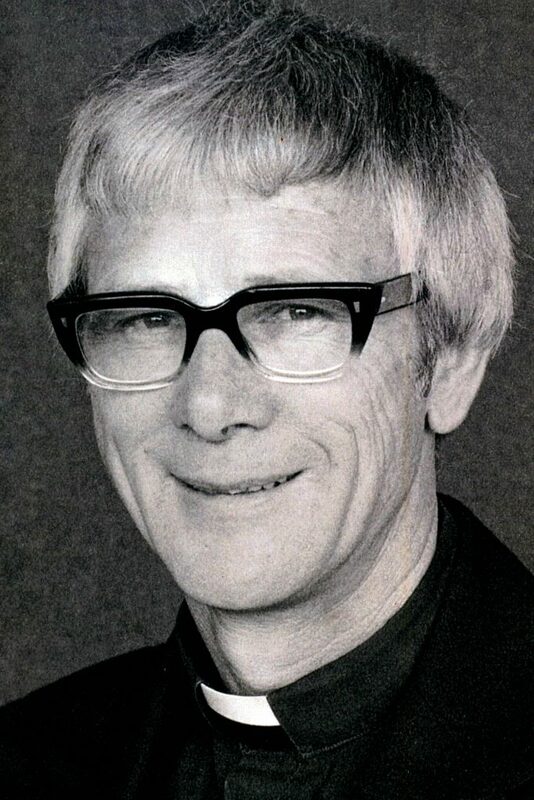 Having served the Archdiocese of Perth as a Christian Brother for 30 years, and priest for 24 years, Fr St John passed away on 30 August 2016, aged 87. Fr Peter St John was born in Worcester, England, on 19 June 1929. The fourth child of Oliver and Elizabeth St John, at the tender age of four Fr St John lost his mother to tuberculosis. The lung disease almost claimed his own life as Elizabeth was diagnosed while pregnant with Fr St John and was encouraged by doctors to terminate the pregnancy in order to have the best chance of recovering. After seeking counsel from a local Catholic priest, Elizabeth and Oliver were persuaded to place their trust in God, a decision which eventually led to the safe birth of a healthy boy. As the years went on, Fr St John’s father struggled to take care of all the children in his care, which included two older children from a previous marriage (he had been left a widower once before), and reluctantly decided to place his younger children, including Fr St John, into an orphanage run by the Nazareth House Sisters. The course of the family’s history would be significantly altered in 1937 when Oliver decided that it would be best for the entire family to migrate to Australia. Fr St John, aged nine, and his older brother Paul, aged 11, were sent ahead under the care of the Christian Brothers and Nazareth Sisters. Despite Oliver’s intentions to send the rest of the family over, the outbreak of World War II in 1939, combined with difficult economic conditions, put a halt to any further movements. Fr St John would have to wait until 1949 to be reunited with his family during a visit to England. Upon arrival to Australia, the two young boys were housed at St Mary’s Farm School in Tardun (later named Tardun Agricultural College), north-east of Geraldton. As stated by his niece, Pauline Simpson, Fr St John had fond memories of this time, exploring the Australian bush and wildlife and absorbing the academic learning experience. Eventually, he became so interested in the work of the Christian Brothers that he sought his father’s permission to join their ranks. Despite some persuasion from his father to become a priest, Fr St John was eventually granted permission to join the Christian Brothers and, aged 15, left Tardun to complete his schooling at the Christian Brothers’ headquarters in Strathfield, Victoria. He entered the Novitiate a year later, in 1946. Between 1950 and 1960, Fr St John filled a number of primary school teaching roles in Victoria, while studying at the University of Melbourne to complete his Bachelor of Arts degree. He majored in literature, Latin and history – subjects he was deeply passionate about. Fr St John relocated to Western Australia in 1961 to take on a six-year teaching position at the Christian Brothers College (CBC) in Fremantle, where he was appointed Principal in 1965. Being closer to his brother Paul, who had in the meantime started a family and taken up farming in WA, no doubt pleased him. Fr St John developed a deep connection with the Fremantle community and has been credited with broadening the college’s curriculum of art, music and drama. He would go on to teach at Aquinas College for two years before spending a year in Ireland, studying aspects of the curriculum and teaching of Religious Education. During another long period of teaching at CBC during the 80s, Fr St John contemplated the idea of becoming a priest. Following some guidance from now Emeritus Archbishop of Perth Barry Hickey and much prayer and soul searching, he decided to become a priest after 44 years as a Christian Brother. He was ordained to the priesthood by Emeritus Archbishop Hickey at St Mary’s Cathedral, Perth, on 15 August 1992 and gave generous and dedicated service in the parishes of Highgate, Kondinin/Kulin, Spearwood and Southern Cross. He also served as chaplain to Royal Perth Hospital, mental health and AIDS pastoral care and to Stella Maris Seafarers Centre. 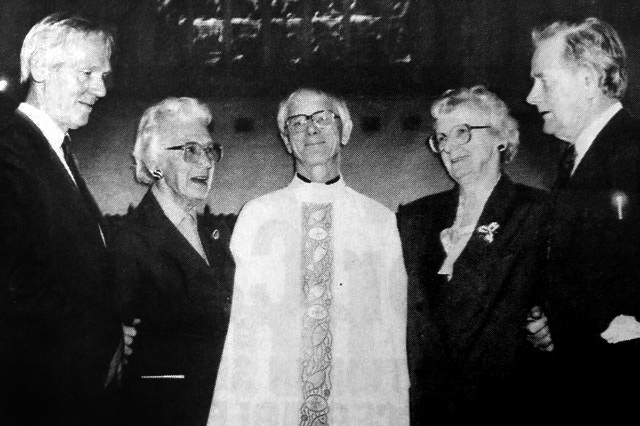 The day of Fr St John’s ordination was particularly significant as he was reunited with all his siblings for the first time in 55 years – a memory he held on to dearly for the remainder of his life. His tireless spirit of service would also be extended to helping the disadvantaged at Perth’s Emmanuel Centre and Faith and Light movement. A passionate sportsman with a particular interest in Aussie rules and tennis, Fr St John’s time in Victoria saw him become a faithful Carlton supporter before his move to WA redirected his loyalty to the Fremantle Dockers. He leaves a legacy of professional excellence in education that promoted and enhanced the wellbeing of his student as well as a commitment to the dignity of the human person that reflected his Catholic ethos. Fr St John’s Requiem Mass was celebrated on 6 September 2016 by Emeritus Archbishop Barry Hickey at St Patrick’s Basilica in Fremantle.